The property was built in 1960 (80 ft by 90 ft). 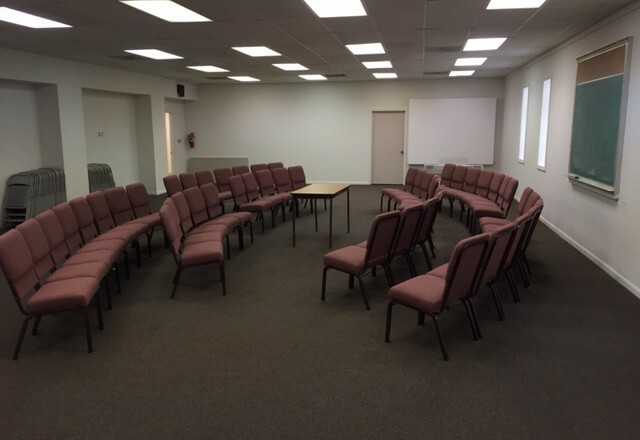 The has the sanctuary, fellowship hall, kitchen, nursery, offices and classroom and handicap bathrooms. 400 persons (stage 61 ft by 49 ft) with a 10 ft ceiling. The building has a zero grade entrance (i.e. no steps). The building has forced air furnaces and roof top air conditioning units. 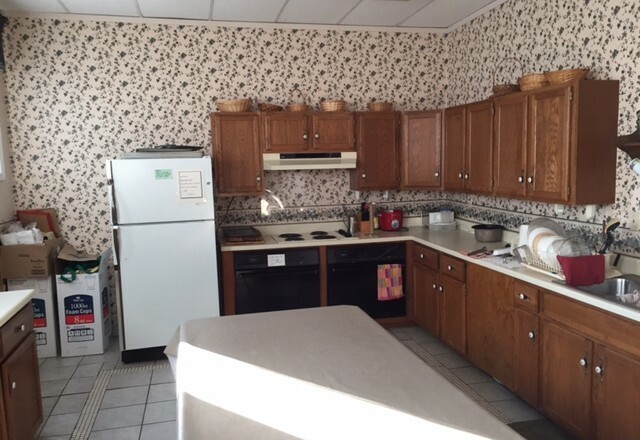 The kitchen has 2 sinks, refrigerator and freezer, and stove (with 4 burners). 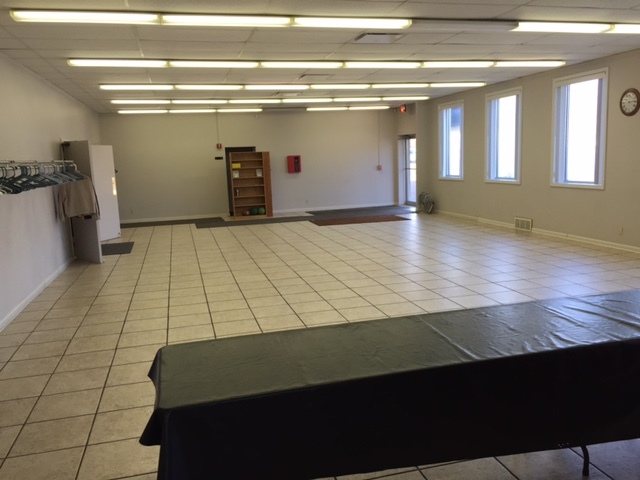 The overall size is 20 ft by 14 ft with a folding wall that opens onto fellowship hall. 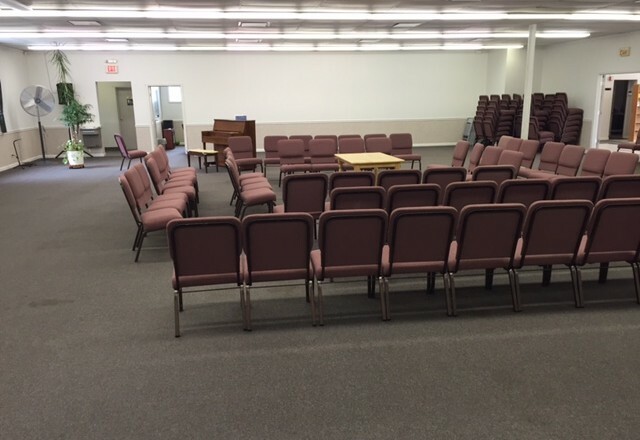 The fellowship hall is 61 ft by 28 ft with two double doors into the sanctuary.. 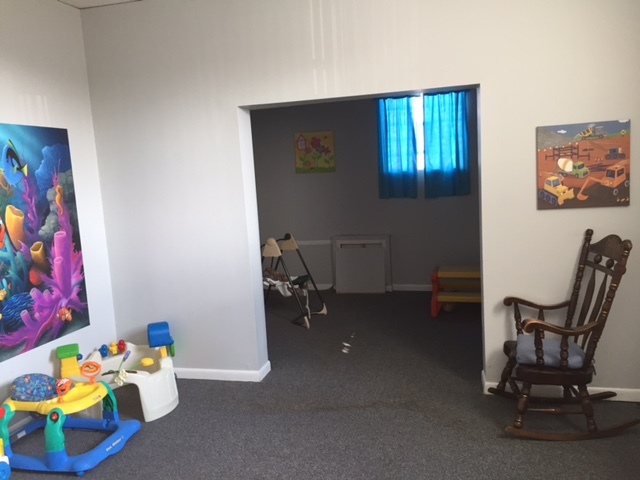 The building has a nursery/toddler room in its northeast corner. 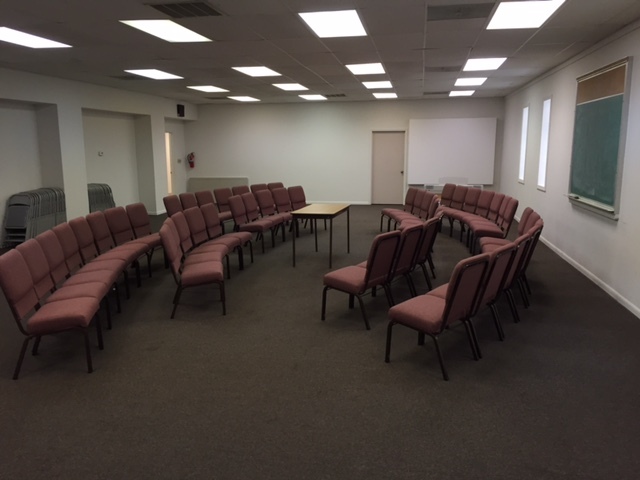 There is a large office adjacent to the sanctuary that can be used as a counter room or a classroom. 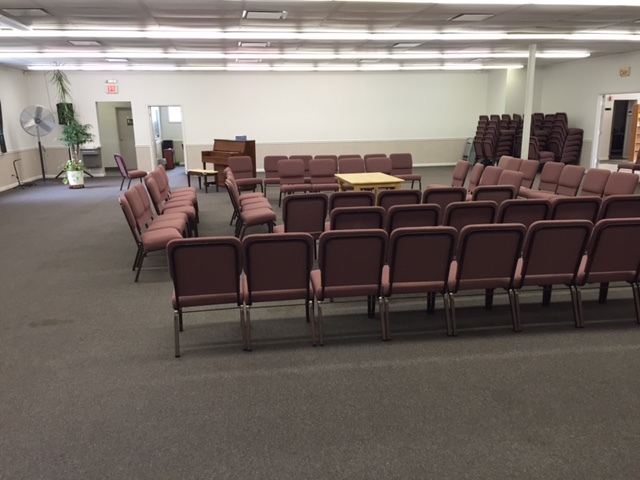 A large office/classroom is adjacent to the sanctuary. It is currently used as a library. The building was built in 1967 (100 ft by 90 ft) with zero grade entrances (no steps). 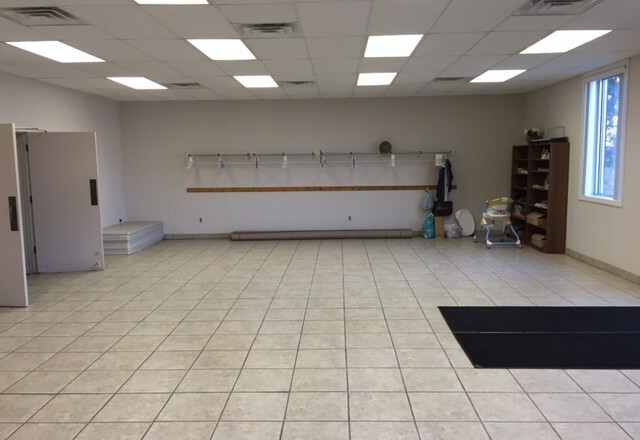 The building has been completely renovated since its purchase in 2001. That means new roof, windows, handicap bathrooms (with two showers), kitchen, lighting and ceiling. The sanctuary in this building is approx. 25 ft by 45 ft and can seat 150. Forced air furnaces heat and cool this building. The mechanical room at the northeast corner of the building houses the units. 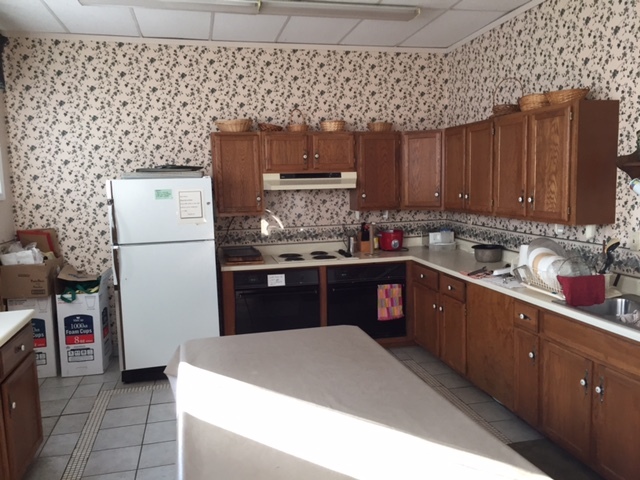 A kitchenette is at the east end of the fellowship hall. 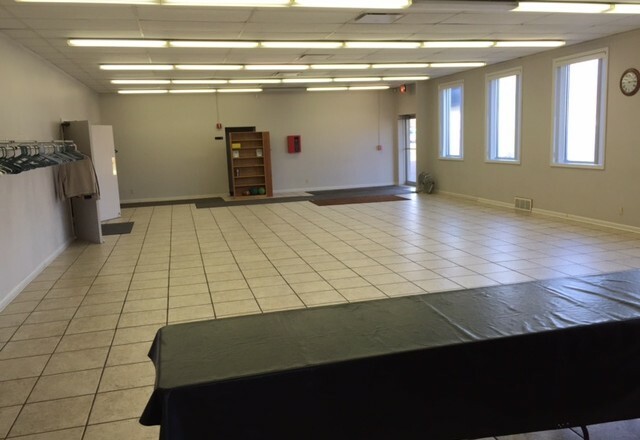 The fellowship hall is at the north end of the building. It is approx. 55 ft wide by 24 ft in width. 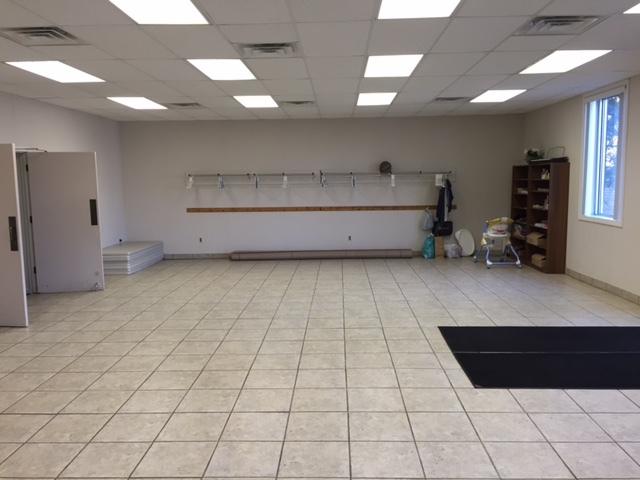 The fellowship hall has a kitchenette on the east end and entrance into the sanctuary on the south side. 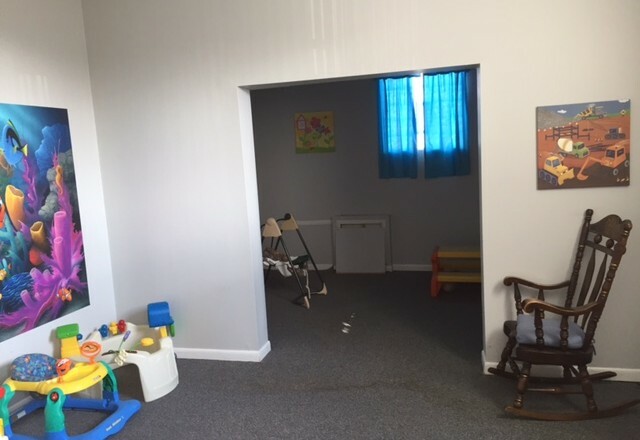 The pastor’s office can be 19 ft by 22 ft.
Five large classrooms (19 ft by 24 ft) align the east side of this building. The parking lot was rebuilt in 2005 and is 240 ft by 120 ft and can hold up to 95 cars. The parking lot is gated so that the gate can be shut from Seven Mile.